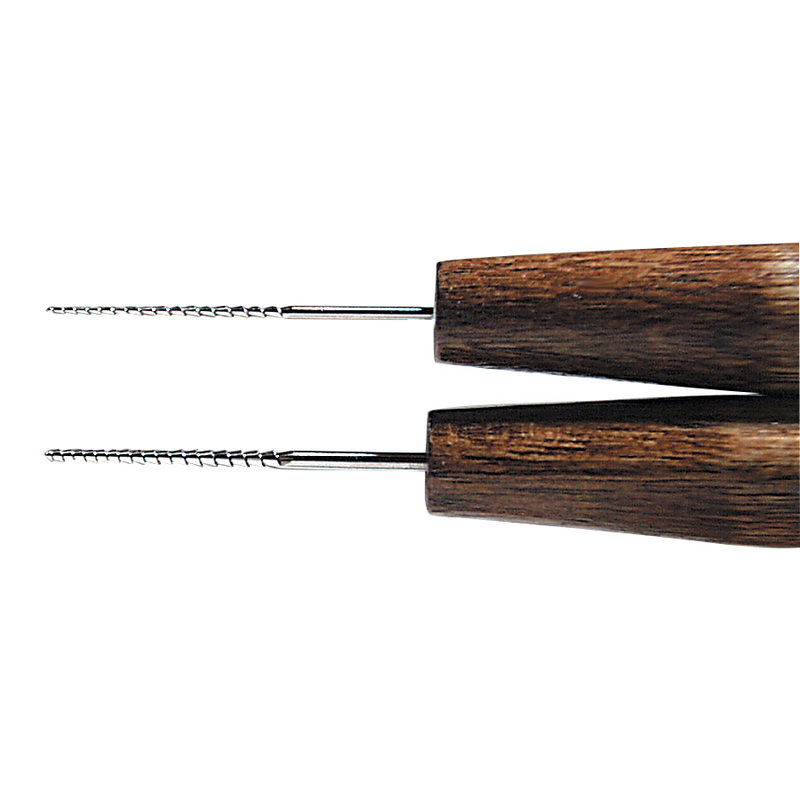 These Micro Broaches create ultra-fine details unlike any other tool you own. Use for making ornamental filigree, detailing patterns for reproduction, carving miniatures, cleaning out small, tight corners, cutting narrow slots and enlarging small holes. The stainless steel spiral teeth never rust or clog and are contoured to remove material on the pull stroke. Micro Broach Set includes: one tapered to .020 inch dia. ; the other to .033 inch dia. 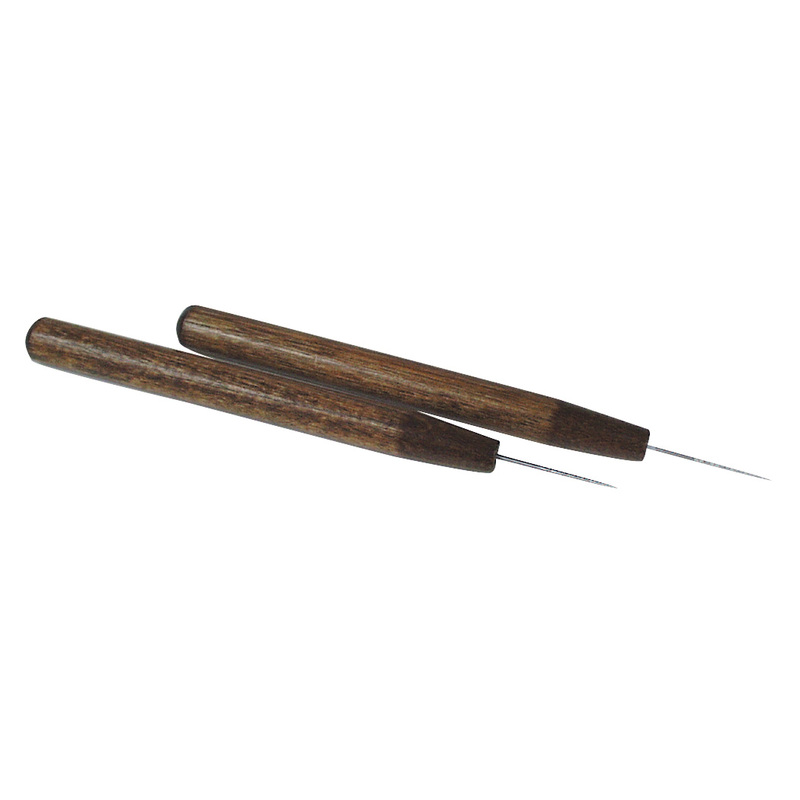 Wood handles are 3/8 inch diameter x 4 inches long. Total length 5 inches. When you need to use this item, it works well. Not bad to have around.